Cinco de Mayo is right around the corner! While it is a common misconception that this annual holiday is a celebration of Mexican independence (which is actually celebrated on September 16), Cinco de Mayo is still a significant date that celebrates Mexican culture and heritage. Do you know how you are celebrating? Don’t tell me tacos again?! Why not try your hand at something different this year? There are plenty of other simple and delicious Mexican dishes you can make at home. How about tamales or enchiladas? Whatever you decide to make, be sure you whip up a batch of this festive bean salad! 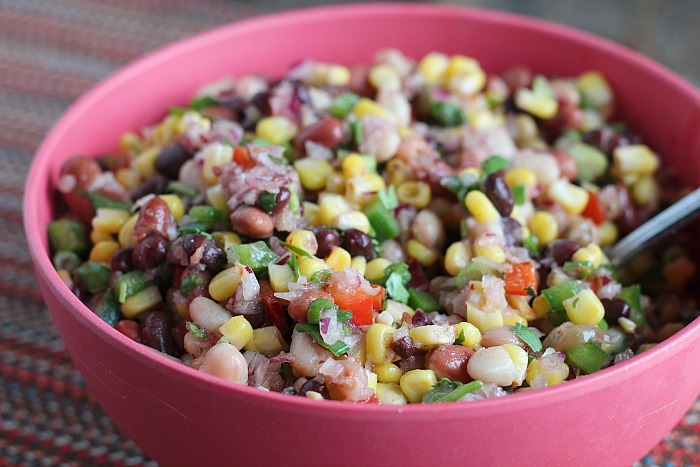 Compliments of our food blogger Ashleigh, this Mexican bean salad is the ideal Cinco de Mayo recipe. Altogether, you won’t need more than 30 minutes to prepare it. The result is a dish full of spicy Hispanic flavors that is perfect as a side dish or as an appetizer. If you are like us, you won’t be able to get enough of that dressing… oh Dios mio! 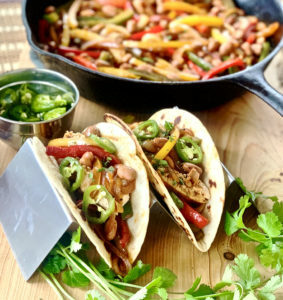 Ashleigh used our black, great northern and mixed beans for this recipe, but depending on your favorite beans and what you have stocked up in your pantry you can use different styles. 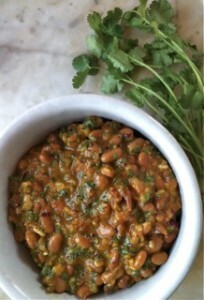 This dish would be just as delicious using out pinto, navy or kidney beans! 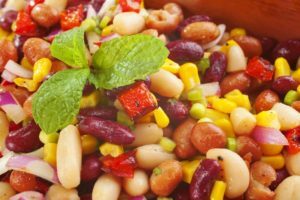 Whether it is on the end of a fork or on a tortilla chip, we are confident this simple Mexican bean salad is going to be a new family favorite! Tenga un marvilloso Cinco de Mayo! 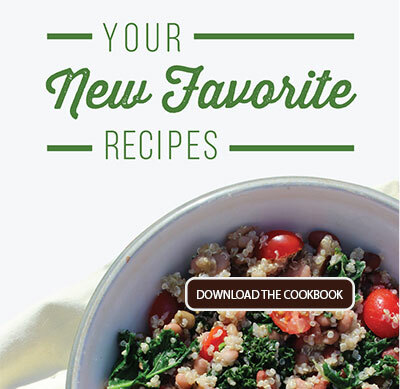 Follow along with Ashleigh as she easily prepares this dish! In a mason jar, mix all dressing ingredients and shake. Set aside. Using a large bowl, add all veggies and beans. Toss with a spoon. Slowly pour dressing over mixture and stir. Cover and let marinade for 20-30 minutes. Want some more simple and delicious recipes for Cinco de Mayo? You’ve come to the right place! Pinto and black beans are a staple in Mexican cuisine and we have plenty of terrific recipes to try ours in. How about another Mexican salad, a Mexican pinto bean casserole, a unique Mexican bean soup or something more traditional like carne asada and refried beans? Can’t find Randall Beans in a store near you? You can always find all variety of our organic and traditionally grown beans online! Are you hungry yet? Head out to the store, and look for Randall’s Black Beans to make this dish tonight.